I switched to a digital camera at the end of 2000 and I’m very glad I did, I enjoyed photography in the film days but with digital my love grew by leaps and bounds. 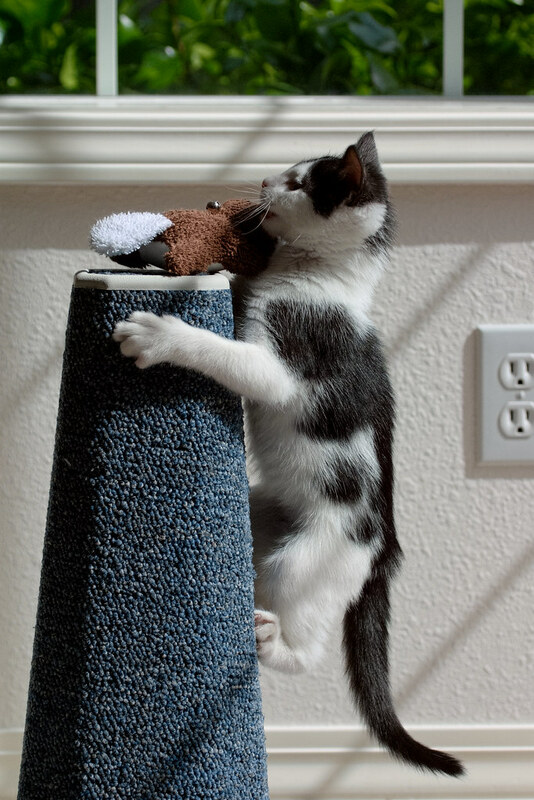 However the primitive autofocus of that camera had no hope of keeping up with the two month old kitten we adopted in May of 2001, so I put Scout’s beaver toy on top of the scratching post and ran back and turned around and focused on it instead, hoping to get set up before she jumped onto the post. Part of me would love to go back in time with my current camera and experience to photograph my beloved Scout again, or even leave the camera behind and just spend a few minutes with her, but part of me is afraid she wouldn’t recognize me at 50 instead of 35 and I don’t think my heart could stand it. 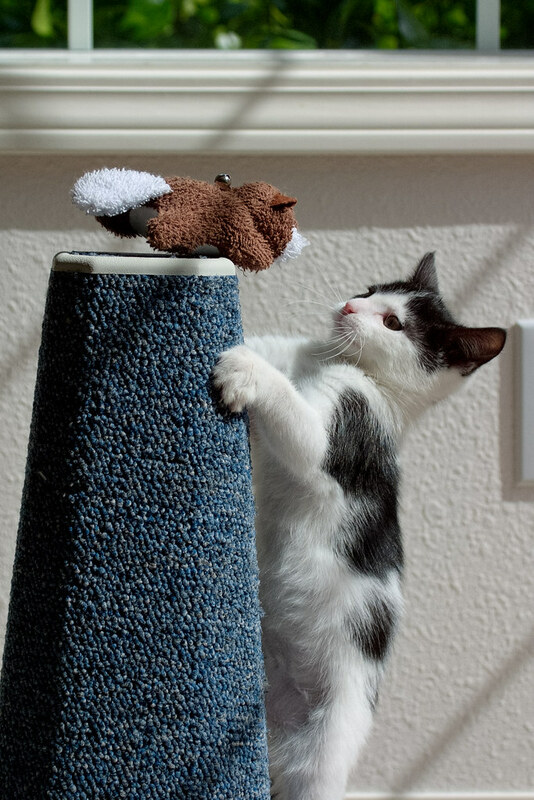 This entry was posted in Pets and tagged black-and-white cat, cat, cat toy, climbing, kitten, playing, Scout, scratching post. Bookmark the permalink.